This 40 selection Dual Zone Chill Center is a proven system for dispensing a wide variety of snacks, candy, beverages, and dairy products. Features a movable barrier tray that allows changeable temperatures zones based on need. 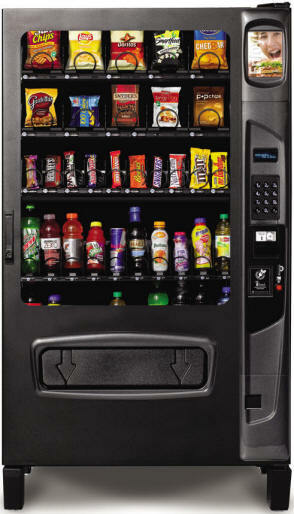 Equipped with the latest in electronic controls, electronic coin changer and bill acceptor as well as our money back vend sensing technology this vendor is one of the most versatile and profitable food machines available. For delivered price and availability in your area, CLICK HERE.